More trouble in paradise? 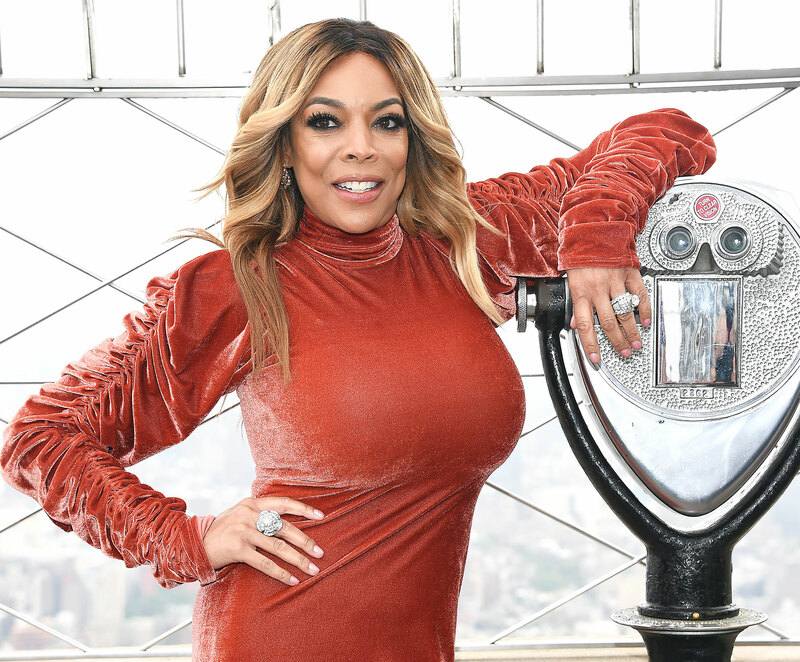 Wendy Williams stepped out on Monday, March 25, without one key accessory: her wedding ring from her husband of 21 years, Kevin Hunter. The Wendy Williams Show host, 54, was spotted leaving her New York City sober living home without any jewelry on her left hand. She tried to keep a low profile by wearing the hood of her animal-print puffer jacket over her head. Later on Monday, she slipped her ring back on for a taping of her syndicated talk show. Williams’ decision to forgo her massive diamond rock comes amid renewed interest in the state of her marriage. The Daily Mail and Entertainment Tonight reported in recent days that Hunter, 46, has been having an affair, with the latter claiming that the TV producer’s alleged mistress is pregnant with his baby. Williams and Hunter, who share 18-year-old son Kevin Jr., have repeatedly denied allegations that he has been unfaithful. Earlier this month, the Ask Wendy author made it a point to tell viewers that she was “still wearing” her wedding ring. Us Weekly has reached out to Williams’ rep for comment.